Hair, makeup, champagne, photos – the preparation of a bride and her bridesmaids on the wedding day needs to be as meticulously planned as the ceremony itself while also ensuring the time is relaxing and the ladies are pampered in style. That’s the promise at this superb bridal suite Gold Coast solution. Having long been a wedding destination of choice due to an array of location options including beautiful beaches and the heavenly hinterland, the Gold Coast is the ideal place to say I-do. Now the hours before the wedding can also be enjoyed in the epitome of laidback luxury thanks to our latest Elite Holiday Homes property listing Hamptons Beachfront. 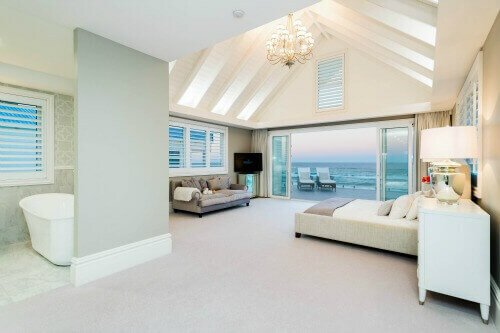 Hampton’s Beachfront is a bespoke, five bedroom home with spectacular, uninterrupted ocean views in Main Beach. Exemplifying the opulent Hamptons lifestyle, the property is both spacious and private allowing the bridal party an abundance of options to celebrate ahead of the ceremony. What a stunning Gold Coast bridal suite. 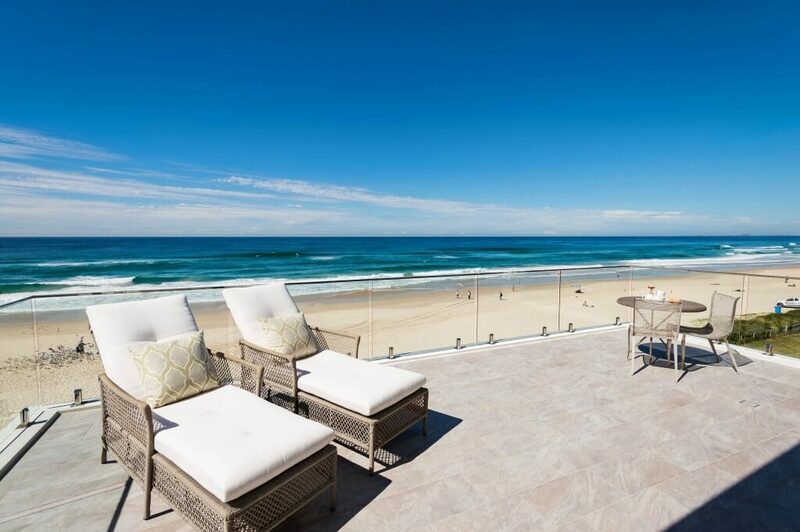 Boasting a spacious entertaining area that steps down onto the sandy Gold Coast beach, the home is the picture-perfect location for a bride to prepare for her wedding day in stunning style. 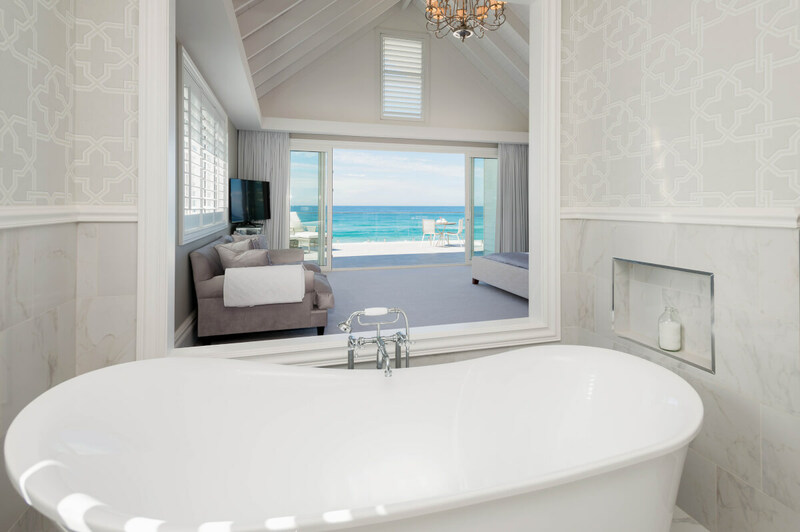 The master bedroom, located on the third floor provides a private oasis to spend a quiet moment overlooking the ocean while outside, a heated lap pool and spa allow the bridal party to completely relax and enjoy their time before the wedding begins. Elite Holiday Homes can arrange a complete concierge service to complement the day including housekeepers, private chefs, hairdressers and makeup artists completely suited to the style and preferences of the bride. The epitome of relaxed style, the property presents the perfect opportunity for an absolute oceanside experience underpinned by timeless style and quality. 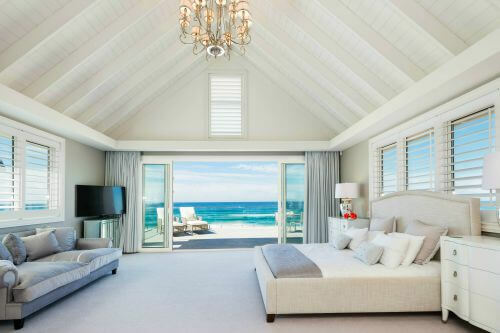 Of course, Hamptons Beachfront is also the perfect honeymoon location for newlyweds who are looking to stay on the Gold Coast but would prefer a luxurious and private honeymoon. Offering all the essentials necessary for an elegant home away from home on the Gold Coast, Elite Holiday Homes new residence was crafted with undeniable class and quality. To find out more about Hampton’s Beachfront or enquire about the ultimate bridal suite Gold Coast please either call us on +61 7 5592 3881 or use the contact form below.